Our product range includes a wide range of heat transfer printing machine, flat sublimation fusing machine, t-shirt screen printing machine, fabric printing machine, automatic garment photo print machine and automatic screen printing machine. 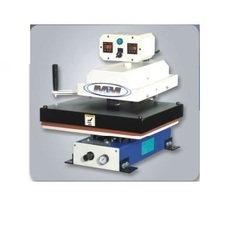 Platen Size : 20" x 24"
Double Bed Size 30" X 40"
Our vast industrial knowledge allows us to offer a comprehensive range of Manual Chest Screen Printing Machine It is widely used for the printing purpose in various industries. 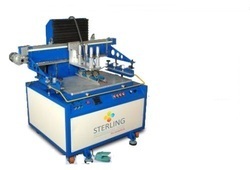 This machine is well manufactured at our large manufacturing unit making use of the quality tested raw material and modernized technology in conformity with the industry set norms. 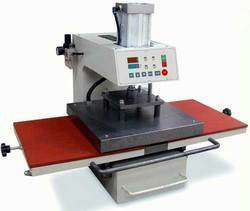 Additionally, clients can avail this machine from us at industry leading prices. We deal in Fabric Printing Machine. 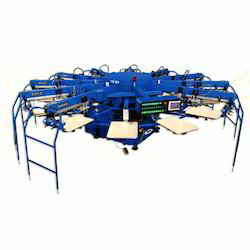 We deal in Screen Printing System. 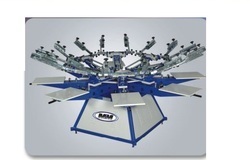 We are manufacturer of Semi Automatic T-Shirt Screen Printing Machine. •Automatic sequential start/finish, multi print, sample print functions. We are offering Flat Screen Printing Machine to our client. 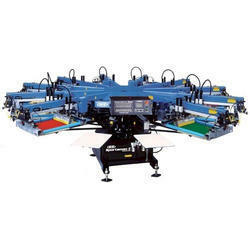 These Flat Screen Printing Machines are extensively used for printing on flat surfaces like PVC, Metal, Glass, Paper, Board and PCB. These are highly cost-effective as these require less power. We are manufacturer of Screen Print Machine. 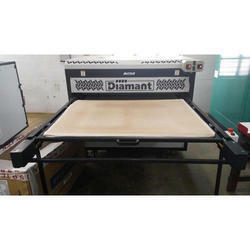 We deal in Screen Printing Machine. Features: Index peubeaung le(pStrahOn Multi directional Moo registration Sturdy side Seim clamps Off contact adowtment Interchangeable Pxtets *ph energy efficient Infra red healing panel Easy *01 attoustrnent Castor wheel mounted for easy natan. 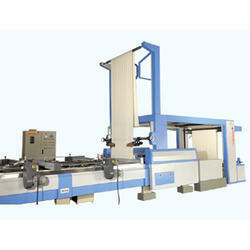 Looking for “Textile Printing Machine”?